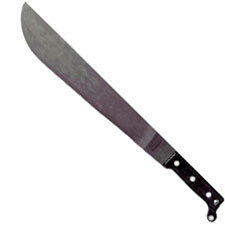 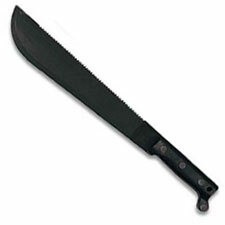 Ontario Knives has been manufacturing the 1-18 machete under US Government specifications for many years. The same quality that goes into the durable 1-18 machete is found in all of the machetes that the Ontario Knife Company manufactures. The Ontario Machete Knives feature 1095 carbon steel blades, .125" thick, with a non reflective Zinc phosphate finish, and full tang construction. 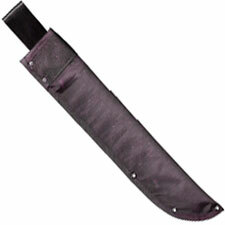 The handles are made of a high impact polymer that resists breakage. 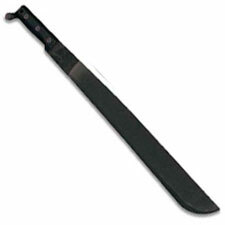 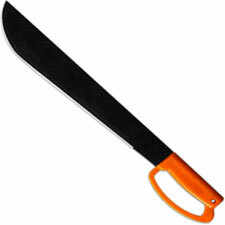 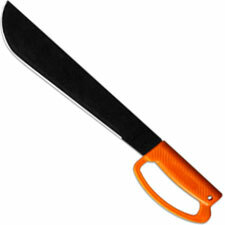 The Ontario Machete Knives are available with 12", 18" or 22" blade; with riveted handle or molded "D" Guard handle. The Ontario Machete Sheaths, sold separately, feature denier nylon packcloth construction with cut resistant liner, fully taped seams with rivets at stress points, and heavy duty belt loop.